“Days of Our Lives,” viewers know that miracle surgeon Dr. Valerie Grant (Vanessa Williams) has a mysterious son named Eli. Although Eli is set to turn up in Salem sooner or later, we don’t yet know where he lives, what he does, or what he looks like. That’s all about to change! If a leaked audition tape on Vimeo is to be believed, Eli will be soon be seen on the docks of Salem proper. 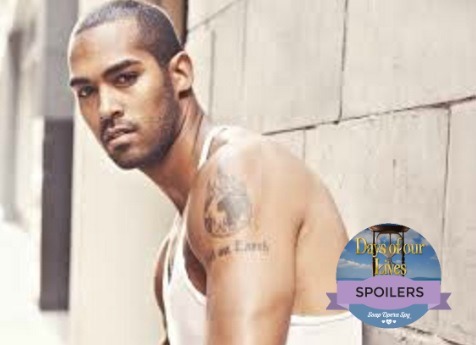 Lamon Archey has been confirmed in the role, although the tape features another actor, Anton Jeftha. Nonetheless, if the tape is accurate there are a few details in it that TPTB have not yet chosen to divulge; like the fact that Eli is really a cop! Plus, the supposed audition tape has Jeftha running lines with an unseen female character who just happens to be named Gabi. Does this mean that Gabi Hernandez (Camila Banus) will soon have a new man in her life? In the tape Gabi ends up in Eli’s arms when shots ring out at the docks, and the two subsequently play down a supposed mutual attraction. Side note to Eli: Gabi’s brother Rafe (Galen Gering) is also a cop, and he will kill you if you ever put his little sister in any kind of danger! Although we can’t say for certain that the tape’s contents are a harbinger of things to come, other spoilers indicate that Eli has a potentially problematic connection to one of Salem’s elder statesmen. Related: Dr. Valerie Grant’s Son’s Father Revealed – Does Julie Have A Grandson? It’s expected to be revealed that Eli is the offspring of Julie’s (Susan Seaforth Hayes) grandson, David. Julie is a force of nature and although she will surely welcome her newfound kin, she’s already tangled with his mother. Are you looking forward to Eli’s upcoming arrival in Salem, DOOL fans? Do you give thumbs up or thumbs down to the rumored details about his identity? Be sure to let us know what you think in the comments section below!